Sorry this is late. I've been in and out, enjoying a few Black Friday traditions, eating, decorating and even grabbed a quick nap. It's been a great couple of days! Anna posted the new crazyjoy challenge word earlier today so I hoped you checked it out. If not, here you go. I'll see you Monday where I'll post my photo for the challenge. 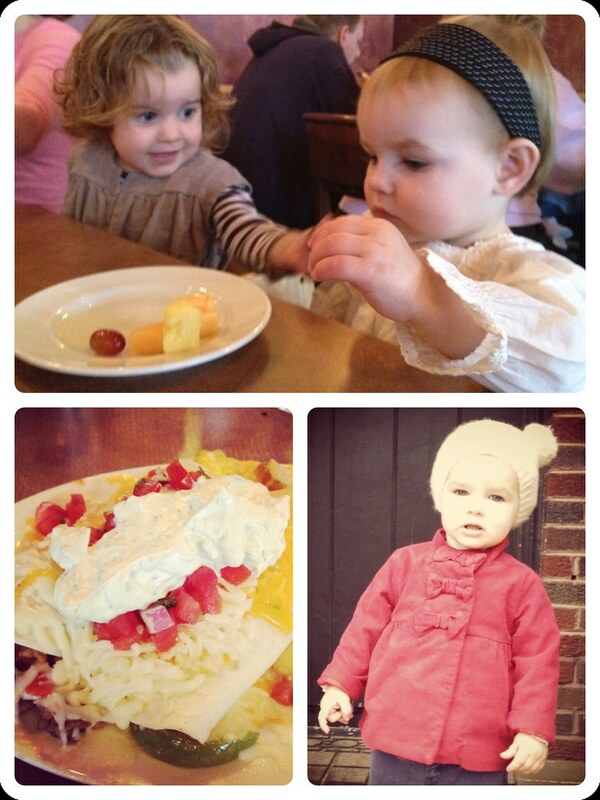 The collages were made with the diptic app using instagram photos from my phone library. 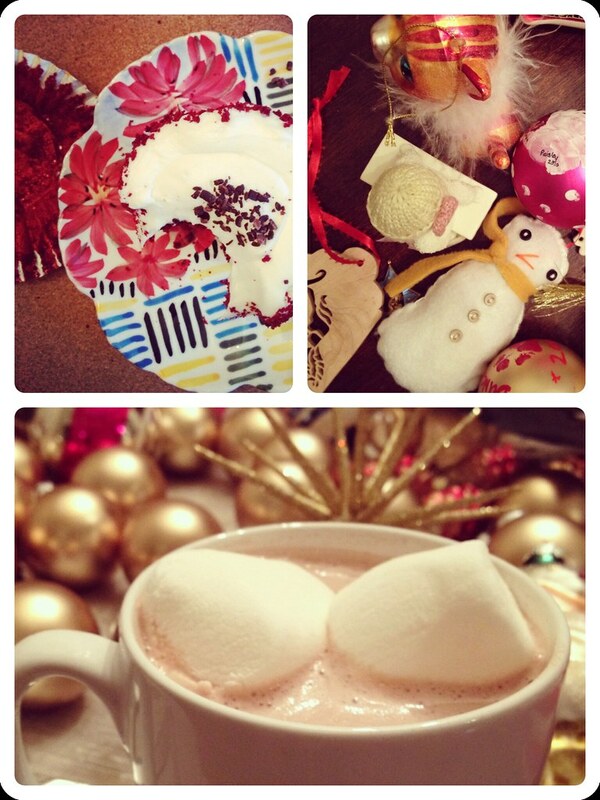 I guess I should mention that I'm a little obsessed with Instagram (free) and Diptic (only 99 cents). Love the picture of Sweet P in her little red coat and hat! Too cute. Love the one of P in her coat and hat. So cute and vintage-y. And to reply to your comment, you at least had a good excuse to rock maternity jeans! I just wanted to be able to eat like a pig! the piece of pie next to the pecan pie piece looks devine. what is it? and the dish with the sour cream and tomato and cheese... YUM! i'm hungry reading your blog tonight ;)please share if you will. Thanks ladies! I love that little coat! 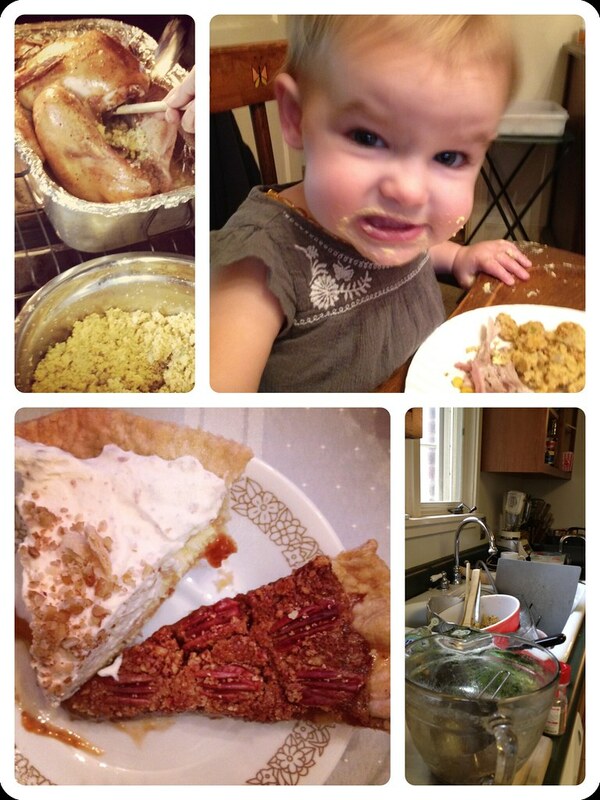 Amanda, the pie is what my family calls Millionaire Pie. I googled it but didn't see the recipe my grandma used. Her's had butter, cream cheese, pecans, pineapples and whipped cream. Oh, and she always made her own pie crusts - no graham cracker.